Upgrades are critical whether you are looking to upgrade your electrical at home or your business. Technology moves forward so quickly and it’s important with your electrical that you stay on top of it. 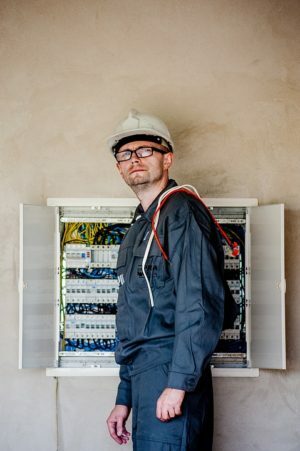 At D Willis Electrical we make sure you are up to code and safe with all your electrical needs. Whether its a panel upgrade you need, or just the electrical control to your garage door, entertainment system, or appliances, our technicians have the deep knowledge and expert skills to get you up to snuff fast and effectively in a cost effective manner. Upgrades aren’t just essential, it’s important to ensure you maintain a safe environment, whether it’s your house or company. With D Willis Electrical your safety matters! We are looking for your loyalty long-term and will do what it takes to get it every time. Whether the project is big or small we pride ourselves in giving you the fast service and professional execution to gain your trust. And it’s this earned trust that brings our clients back again and again. Your main switchboard is the primary source of power to your house or business distributed to the separate branch circuits throughout your house or place of business. So how come you require a main panel? Your switchboard segregates multiple circuits in order to minimize the electrical current running through your building. By using multiple circuits and RCDs we maximize safety in ones residence while not cutting power to the whole installation under fault. Why would you need to upgrade your main electric panel? Truth is, older main panels have limitations on available space to add circuits or they have fuses. And there are older panels that have had circuits added after the fact or maxed out. There are many old panels that just can’t supply the electrical power to run your house or business and they need to be replaced. Our qualified technicians will take the time to determine exactly what you need and create a plan of action to deliver quickly. A set panel upgrade replacement is normally necessary to fix the existing panel issue. Perhaps a breaker might get too hot to the point of actually burning the panel. These conductors between the panel and the existing meter could potentially become loose and burn out the main lugs. Other common reasons to upgrade your existing panel is because of just plain old technology or obsolescence. Cheap-building adjustments, split-buss panels, corrosive environments, and water damage to panels are frequently screaming for replacement. And sometimes it’s just a crazy old panel that needs to be upgraded so you prevent future problems from unfolding. Regardless of the upgrade you need, D Willis Electrical will guarantee we get you running safely, prevent issues from happening, and make sure we get the job done in timely manner with a fair price. Give us a call today and lets get started!